JURIJ DOBCZANSKY – “Ukrainian-American Legacy – for Whom”? KATYA DAVYDENKO – “Archival Practices and Ukrainian Heritage in the Diaspora – Problems and perspectives”. MICHAEL ANDREC – “Introduction to Modern WEB design”. OLHA ALEKSIC – “Ukrainian Archives at Harvard”. IHOR PYLYPCHUK – “Digitizing library materials; creating digital repositories; perspectives of practical application within the Ukrainian Diaspora”. NATALIA POPOVICI – “Cataloging museum artifacts on Past Perfect”. MICHAEL ANDREC – “Using the Archivists’ Toolkit to manage information in an archival repository”. YURI MYKOLAYEVYCH – “Who to donate books to? What potential book donors want to know”. For the past two years the Museum and Library was visited by a number of scholars who upon hearing about our extensive archival resources came primarily to do research. We also had visitors from various parts of the country and Europe who came specifically to acquaint themselves with our cultural institution and our museum and library collections. 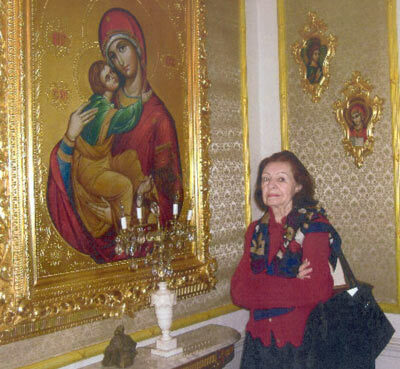 In 2008 and 2009 Dr. Marta Bohachevsky-Chomiak came to do research on her uncle Metropolitan Constantine Bohachevsky. She is at present working on a biography about the Metropolitan, his dedication and achievements for the good of the Ukrainian Catholic Church in America. 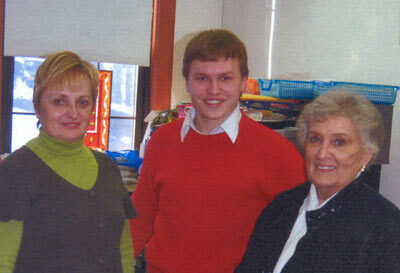 In December of 2008 and January 2009 Volodymyr Yushkevych, a PhD candidate from the Kyiv University, spent a few weeks doing research for his dissertation on the history of the Ukrainian Catholic Church in America. Dr. Andrij Nahachewsky – Director of the Peter and Doris Kule Centre for Ukrainian and Canadian Folklore and Huculak Chair of Ukrainian Culture and Ethnography at the University of Alberta in Edmonton, a known performer, teacher, critic and choreographer of Ukrainian dance. He was especially interested in our collection of recordings (78s) which were produced during the late 1920s and 1930s by the second wave of Ukrainian immigrant to America. Since our collection is quite comprehensive with a good number of duplicates, we discussed the possibility of collaborative efforts between our institutions in setting up a data base and exchange of information. Dr. Nahachewsky also searched through our book collection on Ukrainian dance where he found a few rare publications with which he was not familiar. Zoya Lisovska from Geneva, Switzerland, a known and talented artist, daughter of the artist Robert Lisovsky (1893-1982) and Stefania Turkevych Lukianovych (1908-1977) pianist, composer, musicologist, visited the Museum in 2008. As a result of her visit, her host Bohdan Kurylko donated to the museum a watercolor painting by her father depicting a Hutsul wooden church which he had painted in 1948. In our collection we have a painting by Zoya entitled “Hetman’s Madonna”. This particular work came to our museum from the estate of Irena and Yaroslav Shcherbaniuk. 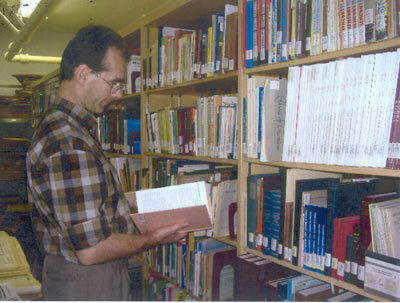 Dr. Ella Bystrytska, professor from Ternopil University did research at our library for about two months. She is writing about Vatican relationship with the Ukrainian Catholic Church. Father Stepan Sus – Military Chaplain for the Ukrainian Army spent a few weeks at our library researching the topic of Military Chaplaincy in Ukraine. Sister Nazaria, OSBM from Ukraine spent three days photographing and examining certain items in our folk art collection which the museum acquired in the 1930s from Sister Severine Parille,OSBM. She is writing her dissertation about the life and work of Sister Severine who was principal of a Ukrainian girls High School in Lviv operated by the Basilian Nuns and an avid collector of folk art. She visited the United States in the 1930s, brought with her a collection folk art artifacts with which she toured and exhibited at various Ukrainian centers, and at the request of Bishop Constantine Bohachevsky donated some of the items to our Museum. This past year, actress Anne Hathaway was nominated for a Best Actress Academy Award for her role in Rachel Getting Married which was filmed almost entirely in the Ukrainian Museum of Stamford during the fall of 2007. In the film, the Ukrainian Museum is the location for a wedding rehearsal dinner where the lead character, played by Anne Hathaway, is discharged from an alcohol rehab hospital to attend the weekend wedding of her sister, Rachel. The film also starred Debra Winger and Bill Irwin. 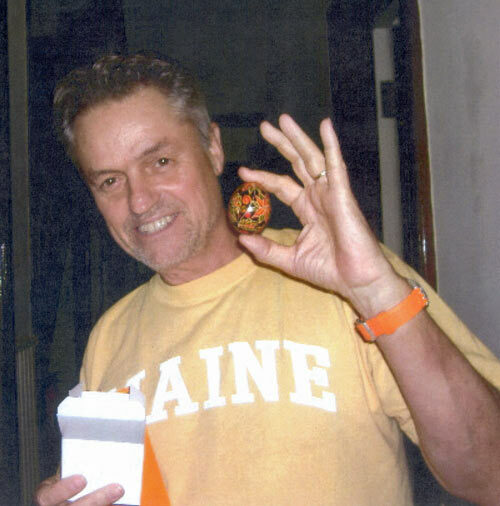 The film was directed by Jonathan Demme who also won Oscars for the films, The Silence of the Lambs and Philadelphia. Upon visiting the Ukrainian Museum, an 1860’s Victorian mansion with over 40 rooms, the director felt it was a perfect setting for a wedding scene. Within a two year period, three Hollywood movies have filmed inside the museum and was scouted by location mangers for six other films and one pilot of a television series. In the same period, the property of St. Basil College was the location for the filming of four other Hollywood movies, hosted the production companies of six other films, and was scouted by three production companies for possible filming. In the fall of 2006, Ukrainian director, Vadim Perelman, used the Museum as the location for the filming of his movie, The Life before Her Eyes, starring Uma Thurman. In this film, the Museum was used as a Catholic girl’s school. A month later, the Museum was the location for the filming of Factory Girl starring Sienna Miller, Jimmy Fallon, Guy Pierce, and Hayden Christiansen. In all of these films exhibits from the Ukrainian Museum are featured prominently and proudly. During the week of August 14, St. Basil College and the Ukrainian Museum in Stamford, was the location for the filming of a major motion picture now being shot at various locations around Connecticut. The movie, starring Uma Thurman, best known for her roles in “Kill Bill” and “Pulp Fiction”, will be released in the spring of 2007. This film is being directed by Vadim Perelman, whose first film, “House of Sand and Fog”, brought him critical acclaim and Academy Award nominations for two of his actors. Mr. Perelman was born in Kyiv, Ukraine and emigrated to Canada with his mother, at the age of fifteen, after the tragic loss of his father. “In Bloom” is the current working title of the film based upon the novel, “The Life before Her Eyes”, by Laura Kasischke. The story depicts the life of a young woman who experiences a Columbine type shooting in high school and follows her into maturity, at the age of forty, living an idyllic life in the suburbs. In the film, the lead character picks her daughter up at a Catholic girl’s school with a circular driveway and a spacious front lawn. These scenes are shot in the Ukrainian Museum, St. Basil College, and the lawns of the college property. St. Basil College and the Museum staff were most excited when the location and set directors arrived on Thursday, August 10 to transform the museum dining rooms and porch into a classroom at an imaginary Catholic school. The back porch of the museum dining room became the location of the principal’s office, while the faculty lounge of the college was the scene of a professor’s office who is married to the lead character played by Uma Thurman. The front lawn of the museum, decorated with over two hundred white crosses depicted a dream sequence experienced by the lead character. After three days of preparation, the schedule was followed by three days of filming with the cast. During the actual filming, the actors were quartered in the lounge area of St. Basil College. The college dining room was host to forty child actors playing students at the imaginary school. The main auditorium was the scene where hundreds of crew and extras were fed each day between filming. Following the shooting in August, the production company will return in September for one more day of filming in the college corridors and post production editing and catering. It has been a rewarding and enjoyable experience to share the campus of St. Basil College and Ukrainian Museum with the production company and the public community. 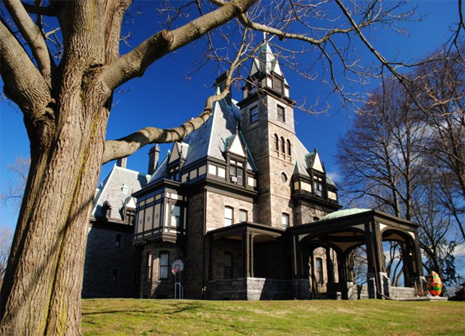 Other Connecticut locations involved in the actual filming will be Norwalk Community College, street scenes in South Norwalk, and school scenes in New Haven.